Seems like I’ve been getting more and more emails from our alumni lately asking what, exactly, PantherTough is really all about. The truth is it’s hard for me talk about without getting excited. It means so much to me, personally, that it sometimes feels like I’m letting people in on our innermost secrets. It’s important to talk about though, so I figured I’d share this with you. 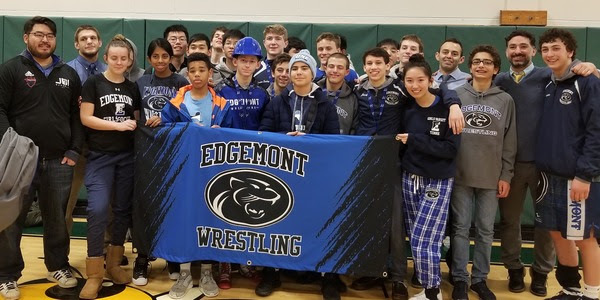 Sixteen years ago Edgemont didn’t have a very good wrestling program. We’d been through a few coaching changes and things kind of fell apart. Coach DiChiara and I watched the kids that were coming through our program and I felt bad. It felt like we weren’t in a position to give them everything they could get out of our program. It felt like we were letting them down and they didn’t even realize it. We were a team, but not a program. We were a group, but not a family. I actually felt guilty. It was demotivating and it was tough. Wrestling is, without question, the most physically, mentally and emotionally demanding sport that high school athletics has to offer. It’s hard. But it’s because it’s so hard, that it’s also this amazing vehicle to teach some of the most important lessons and develop some of the most important characteristics an adolescent can learn. 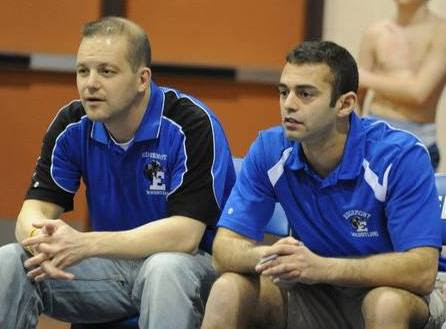 When done properly, a wrestling coach isn’t just mentoring his athletes to be successful on the mat, but guiding them through a blueprint to be successful in life. This is what we were so sorely missing. This is what we realized we needed to be great. The idea of our PantherTough culture was born – although it would be a few more years before we called it that. Our coaching staff worked relentlessly, and still does, to refine our ideas and concepts into an all encompassing vision, philosophy and culture that produces “Champions on the mat and in life.” Over the years it’s evolved into something we’re all incredibly proud of and it continues to evolve and develop to this day. So, allow me to pull back the curtain a second and let you see what it’s really all about! 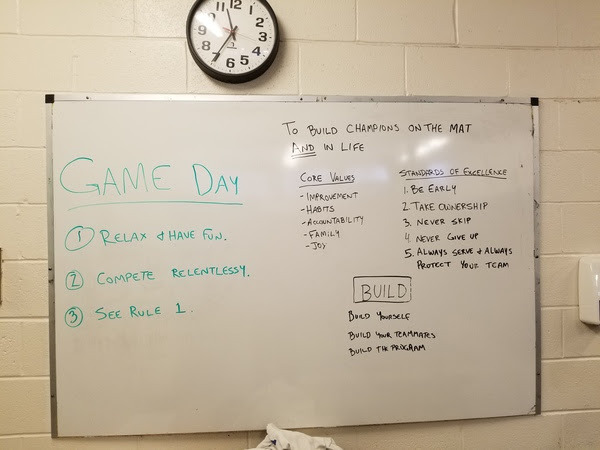 It all starts with our philosophy… what you guys often see and hear is “Building Champions on the mat and life,” but that’s actually just an abbreviated version. This is our heat and soul. It drives everything we do. I know for me, personally, in addition to a deep love for my family and friends, it’s this philosophy that gets me out of bed every morning, fired up to be the best I can be for our kids. We keep this philosophy in places where our coaches and wrestlers look at it everyday. It’s our north star. It guides every decision we make in our program. It’s either in-line with our philosophy or it isn’t. Do what you say you’re going to do, when you say you’re going to do it. Ask any varsity wrestler in our program and they can rattle off our five core values without missing a beat. We talk about them daily. We have weekly team meetings just to further discuss and develop these values. It’s not just the values that set us apart, it’s the fact that, for us, they’re so much more than just words on a poster. They’re, quite literally, our way of life. We spend so much time the first few weeks of the season making sure our kids really understand and buy into our core values. Making them more than just words. Once we’re confident they’ve reached that point, they’ve earned their chips. That day is one of the most important of our season. It’s a big deal for our wrestlers to earn their chips. They’re special. They have to work extremely hard to earn them and they’re for our wrestlers only. They can’t be bought and no one else has earned the privilege to carry them. It marks their commitment to this elite group of individuals and their commitment to living at a higher standard than their peers. Our wrestlers have a tremendous amount of pride in earning these chips. The chips are specially designed for Edgemont Wrestling. One side features our logo and our five core values. The back has our team mantra – BUILD – and “PantherTough.” When our wrestlers earn their chips, they must carry them with them at all times, everywhere they go. The chips serve as a constant reminder of the commitment our kids have made to each other and a constant reminder of the values that will help them become Champions on the mat and in life. The chip is there for them when times get tough, and to help guide them towards good decisions when faced with challenges. I carry mine in my pocket everyday, as do the rest of our coaches, as well. Each day our wrestlers come to practice with their chips in hand and go “all in” for the team by dropping their chip in our chip bucket. It’s another symbolic gesture to help remind them why we’re all here and what we’re all about. At the end of each day, if they’ve practiced hard and lived out those values, they earn their chips back. Our chips have become a huge part of our identity and our PantherTough culture. They’re the physical manifestation of what makes our program so special. If the chips are the physical manifestation of our values, then you guys – our wrestling family – are the literal personification of that. It’s your support of our program through our Annual Giving Campaign that made these chips a reality for us. When you take a step back, it might seem crazy that such a small token – like these chips or your gifts to the program – make a difference, but the reality is, both make a tremendous impact. Your generosity and support is what funded our chip program and many, many other initiatives that make our program what it is, but aren’t covered by our school budget. It’s what allows us to transform a team into a program, a group into a family, and, most importantly, allows us to use a sport as a vehicle transform the lives of our student-athletes for the better. You’re contributions to our program are so deeply appreciated! 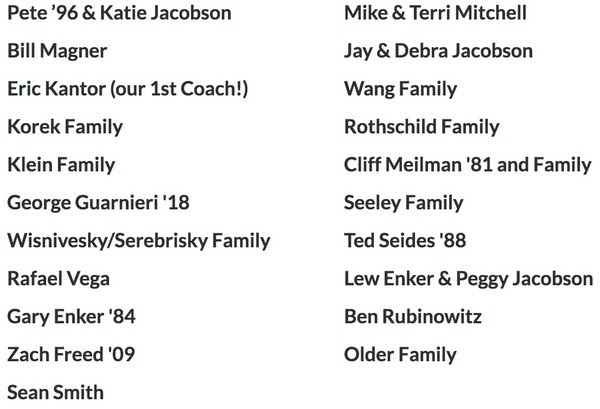 Our current list of supporters can be found here. We only have two weeks left in our 2018 Annual Giving Campaign and we’re making progress toward our goal of 60 donors, but we need your help to get there! It REALLY makes a difference. If you’re so inclined, you can give here.